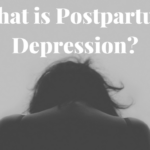 Postpartum care is important after having your baby. You may focus so much on preparing for your baby that you forget or put little effort in preparing for self-care for yourself as a new mama. In the first six weeks of postpartum care, foods are important in healing your body. 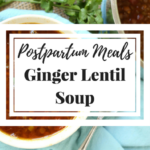 Here’s a postpartum recipe that is simple to make. This recipe contains ingredients that provide energy a new mama needs. 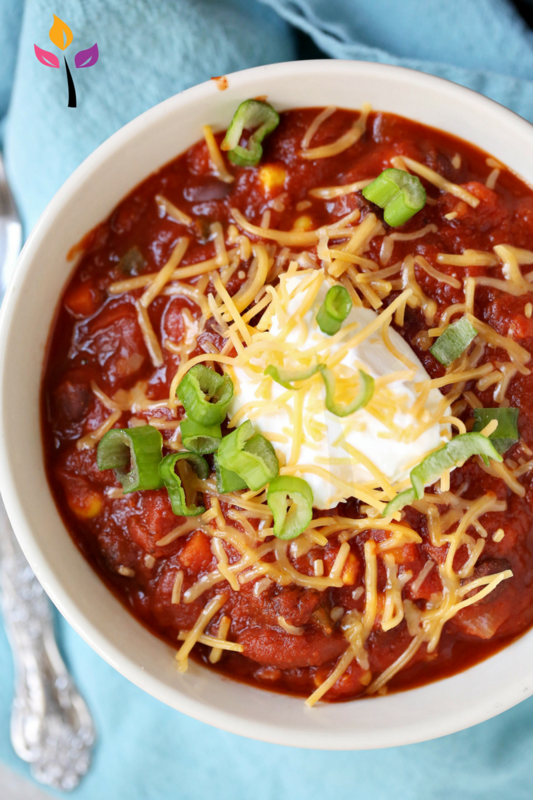 Chili is a classic meal and easy to eat if you just have one hand. Cut and rinse all veggies. Combine tomato sauce, vegetable stock, and tomato paste in a large pot, whisking together to blend. Add in all remaining ingredients, stir, cover, and set to cook on medium heat for 1 hour. Stir occasionally, and if the temperature gets too high reduce to medium/low. Serve with sour cream, cheese, and green onions. *Meat can be added if desired. 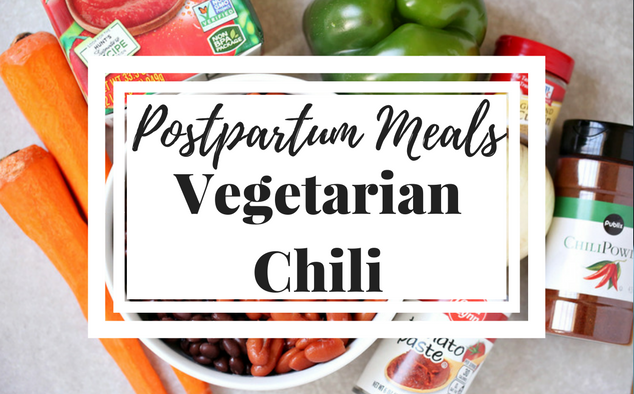 This recipe looks so yummy and easy for postpartum mommas to throw together!! Good food choices are soooo important during the postpartum recovery period!